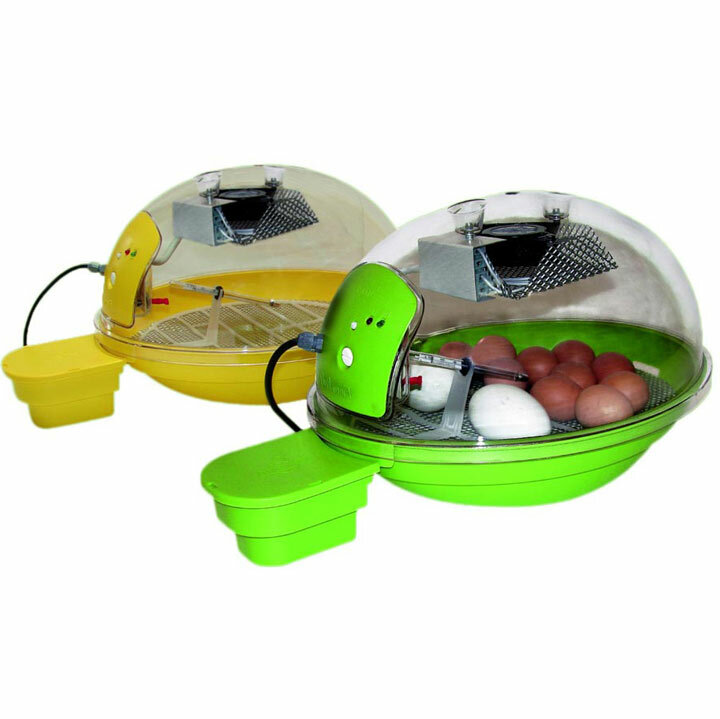 Safe, efficient and really good looking the CHICKTEC Smart 20 Automatic is perfect for 18 to 20 chicken eggs. 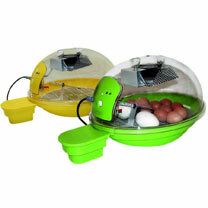 It has fan assisted airflow, automatic egg turning and superb visibility through the clear dome lid. Analogue temperature control and a glass thermometer make this incubator simple to use. Holds 18-20 chicken eggs, 27 pheasant/guinea fowl eggs or 45 quail eggs. Lucky dip as to whether you receive a green or yellow model, but both colours are equally attractive. Specification: 400 x 325 x 260mm, 100W, 2.3kg.